The potentially defective seat belt parts were made between April 10 and Oct. 15, the NHTSA filing shows. STOCKHOLM/DETROIT -- Automakers may recall as many as 400,000 vehicles that have Autoliv Inc. seat belt and airbag parts worldwide, the Swedish auto safety parts maker said on Friday. Autoliv, which says its products are in 1,300 auto models around the world, did not specify which automakers would be affected. No crashes or injuries have been reported in the two separate issues Autoliv reported to U.S. safety regulators and the costs of the potential recalls will not be material to Autoliv earnings, company spokesman Thomas Jonsson said. Autoliv said there are possible glitches in its widely used seat belt pretensioners, which work to tighten seat belts to better secure a driver or passenger, and a product that initiates the process of inflating an airbag. 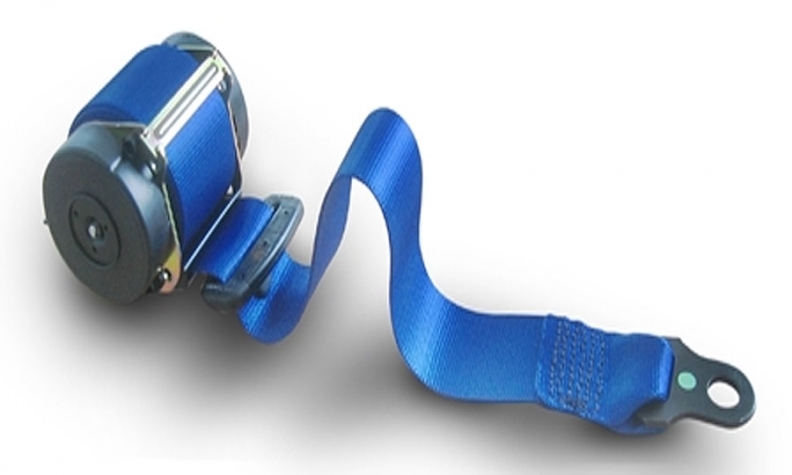 One of the two Autoliv filings with the U.S. National Highway Traffic Safety Administration is for seat belt parts in about 267,000 vehicles. In the event of a crash, a small part called a micro gas generator used in seat belts pretensioners could detach and "may be a projectile within the vehicle cabin," the NHTSA filing shows. In a second filing, Autoliv told the NHTSA that airbag and seat belt initiators may not work in as many as 114,000 vehicles. These parts initiate the process to activate seat belts pretensioners and to deploy airbags. The parts involved in the airbag problem were manufactured from July 16 to Nov. 4, Autoliv told U.S. regulators. The number of vehicles recalled with potentially defective seat belts or airbags parts is expected to be lower than what Jonsson said was a maximum estimate of 300,000 to 400,000 vehicles. Autoliv said it is working with its automaker customers to determine which vehicles have the potentially defective seat belt or airbag parts. Decisions on which vehicles to recall will be made by the automakers in cooperation with Autoliv, Jonsson said. He said the issues were noticed during internal testing and that there have been no incidents related to either issue in consumer-owned vehicles. Wells Fargo analyst David Lim, in a report released Friday, said the recall should not impact Autoliv in the long term. "The recall attests to (Autoliv's) willingness to address quality issues," he wrote. "In our view, OEMs prefer working with suppliers that provide not only quality products, but also post production service if there are quality snags. "We do not see the recall impacting ALV's future win prospects. On the contrary, strong service may further cement ALV's position in passive safety."